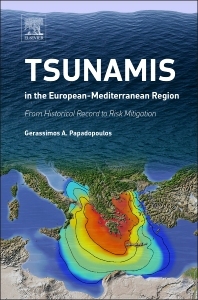 Tsunamis in the European-Mediterranean Region: From Historical Record to Risk Mitigation provides readers with a much needed, reliable, and up-to-date history of the region, including descriptions and parameters of the main events from pre-history to the present that are supported by parametric catalogues, pictorial material, and examples of instrumental records, such as tide-gauge records. The book presents a broader perspective of needed action for local and national governments, and international organizations, and is written by an internationally recognized expert in this field, providing an authoritative account of historical tsunamis in the eastern Mediterranean. It addresses key points of tsunami mitigation, including the systems currently available for tsunami recording, monitoring, and early warning, along with a presentation of the preventative measures that can be applied in all tsunami-vulnerable regions. Scientists and researchers working in in seismology, oceanography and hydraulics, marine geology, volcanology and landslides; numerical modelers; GPS community; historians;those working with telecommunication technologies, signal transmission and processors. Chapter 5: What Do We Learn for the Source Characterization from Numerical Modeling? Dr. Gerassimos A. Papadopoulos is a Research Director at the Institute of Geodynamics, National Observatory of Athens. Papadopoulos is an earthquake and tsunami scientist with more than 100 reviewed papers and more than 1200 non-self citations about earthquakes and tsunamis in the European-Mediterranean Region (EMR) and beyond. Papadopoulos has been involved in EMR tsunami research since 1983 participating as leading scientist in EU major tsunami research projects. In 2001 along with Prof. Imamura (Japan) they proposed the so-called Papadopoulos-Imamura new tsunami intensity scale which today is used and applied all around the globe.